The Venn diagram got a makeover! 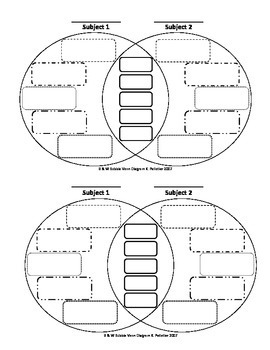 Do you avoid grading your students' Venn diagrams because they are a nightmare to read and understand? 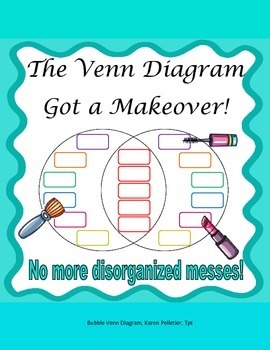 Do you feel your students' Venn diagrams are useless after they are filled out? There's something practical about the Venn diagram that makes it a staple in our everyday teaching, but there's also something about it that makes it frustrating. This modified Venn diagram keeps the familiar circles of the old Venn diagram and infuses bubbles that serve two purposes. First, they keep students information neat and organized, and secondly they ensure that students look for and find contrasting information between two subjects. The old Venn diagram let students just write a laundry list of words and phrases under each subject. So when it came to contrasting the two subjects, teachers got an unorganized mess of a list. In fact, many students didn't even realize that the only information that should be included in a contrast writing between two subjects is when contrasting information is KNOWN for both subjects. That is the beauty of the Bubble Venn Diagrams. They ensure that students are extracting and including all information required for an accurate contrast writing. Printing in color is cool, but not always essential, because now included in this download, is a black and white Bubble Venn diagram. 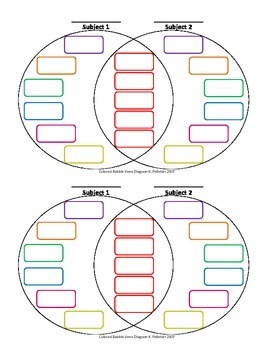 I've also included an information page on compare/contrast writing as well as 3 outlines you can use after using the Bubble Bubble Venn Diagrams. 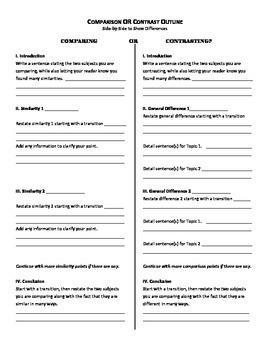 There's an outline for comparison writing, contrast writing, and comparison & contrast writing. I hope these Bubble Venn Diagrams save you some stress in your teaching days to come. Happy comparing and contrasting!